Anaerobe is essential reading for those wishing to remain at the forefront of discoveries relating to life processes of strict anaerobes. Created especially for the international community, it addresses the needs of those working on a group of organisms of exceptional academic, economic, medical, and veterinary importance. The journal is multi-disciplinary, and provides a unique forum for those investigating infections caused by anaerobic bacteria in humans and animals. Anaerobe publishes original research articles, notes and case reports. Reviews and mini reviews are welcome at the invitation of the editor. 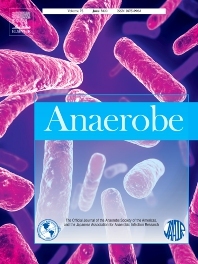 Relevant topics fall into the broad categories of Anaerobes in human and animal diseases, Anaerobes in the microbiome, Anaerobes in the environment, Diagnosis of anaerobes in clinical microbiology laboratories, Molecular biology, Genetics, Pathogenesis, Toxins and Antibiotic Susceptibility of Anaerobic Bacteria. Papers describing innovative methodologies, technologies, and applications to investigate strict anaerobic bacteria are also of interest. Manuscripts describing new species of obligate anaerobes will be reviewed if the description of the new species also includes information showing novel phenotypic characteristics, pathogenicity and/or unique metabolic activity within the microbiome from which it was isolated. New anaerobic species that are only different from other related members of a genus based on genomic information will not be reviewed. Anaerobe is no longer accepting manuscripts on descriptive, sequence-based surveys of microbiomes, even if the environments of the sampled ecosystems select for anaerobic species. However, when studies such as these are accompanied by direct, mechanistic assays of strictly anaerobic components, they will be considered for publication. Anaerobe will also not consider manuscripts that deal only with descriptive accounts of the beneficial effects of potentially novel probiotic strains, unless such strains belong to strictly anaerobic species that have previously not been associated with probiotic features. Anaerobe will continue to consider manuscripts for publication that address determinations of the specific mechanism(s) of action of all strictly anaerobic probiotic strains.